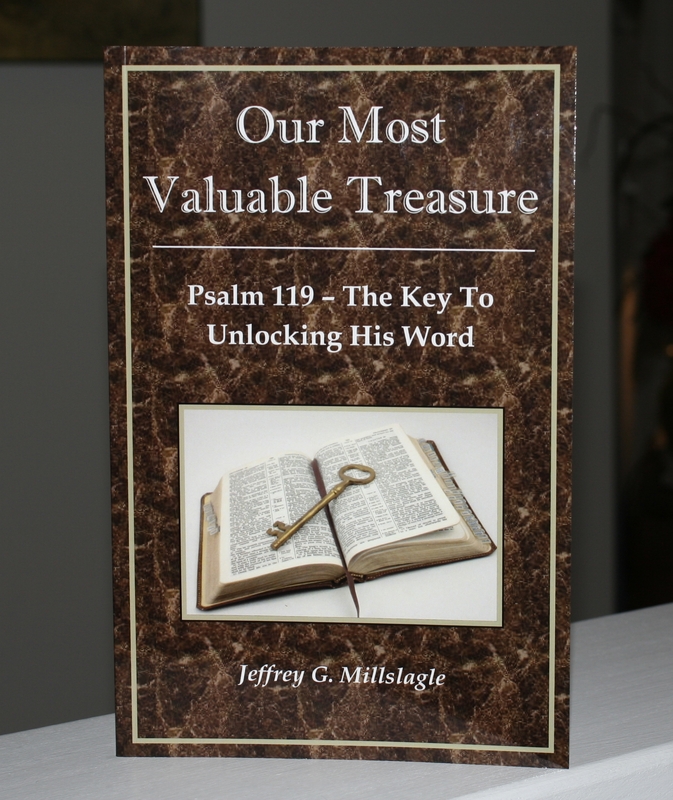 The following is an excerpt from my book, Our Most Valuable Treasure: Psalm 119 – The Key To Unlocking His Word. Who established and determined the exact length of a “foot” as a unit of measure? One strong theory traces the origin of the length of a “foot” back nearly 900 years. In England during the reign of Henry I, the king, it is believed, determined the exact size for the “foot”. The 12-inch foot didn’t become a common unit of measurement until the reign of Henry I of England during the early 12th century, which has led some scholars to believe it was standardized to correspond to the 12-inch foot of the king. If units of measure differed all throughout the world over different periods of time, it would lead to chaos and confusion. Having a defined, standardized unit of measure became the way to understand distances, define capacities, and allowed for fair trade. We know an inch, a foot, and a yard are the same distance now as they were 300 years ago. The inch, foot, mile, and all other units of measure, are the authority when it comes to measuring. We also have a unit of measure for determining truth. The important term in this verse is the word “settled” as used in the NKJV. Other versions use phrases such as “stand firm” or “firmly fixed.” The idea of this verse is God’s Word has been set or decided. It is not up for debate or change. You can take great comfort in the fact that His Word is not changing. What was true in His Word two years or 2000 years ago, is still true today. It is our great measuring rod. We can take any philosophy, ideology, teaching, or opinion from all time periods, and compare it to God’s Word, knowing His Word is the standard. We can trust God’s Word. It has been settled and will continue for all eternity. There is great comfort from the fact that you can always count on the Word’s unchangeableness. It is solid, consistent, and settled. The main point to remember is since His Word is settled and unchanging, all things we encounter can be compared to the Word to see if it measures up to the truth as defined by Scripture. His Word is the standard against which everything else is measured. This is the first and most important concept because it determines authority. If there was debate about the exact length of an inch or a foot, there would be no way to determine between individuals the length of anything. Distance would be subjective, capacities would be irrelevant, and confusion would reign. There would be no voice of authority for measurements. It is the same when discussing truth. Perhaps the reason the modern evangelical church experiences confusion on a variety of issues, is due to the lack of agreement on the standard used to determine truth. Truth cannot be defined by a variety of ever changing markers. Feelings, experiences, and cultural acceptances are too often used as the markers for morality. Believing God’s Word is true, gives us a solid standard as His Word becomes the source of authority for us. There are only two ways to approach the Bible; start with you – where you take your beliefs and experience, then wrap the Bible around them. Or you start with God – where you take the Bible and wrap your beliefs and experience around it. The psalmist is making his case in no uncertain terms, “Your word is settled” and there is no other option. His Word is defined, unchanged, and remains authoritative. It is the measuring stick we use to line everything else up against. God’s Word is where we must turn for truth. 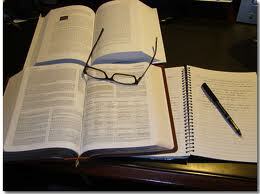 God’s Word is the foundation or back bone upon which everything else rests. God’s Word must be the standard to which everything else is measured. We have a tendency in our modern church culture to look for extra-Biblical sources to validate the truth of the Bible. Whether it’s other ancient texts or artifacts from a long gone society, we use those sources as the means to determine if the Bible is true. Somehow believing an archeological discovery proves His Word. It’s like using a size 12 man’s shoe to decide if the ruler is correct! The ruler is the determining factor of the size of the shoe, not the shoe determining if the ruler is accurate. Because His Word is the Standard, we can measure everything else against it. It is the final authority. PS. If you enjoy these periodic posts of mine, would you please “like” and share it on your personal Facebook page? I’d greatly appreciate it! Living Among Lions, David and Jason Benham, W Publishing Group 2016, page 118. This entry was posted in Bible Application on March 29, 2017 by The Short Bald Guy.